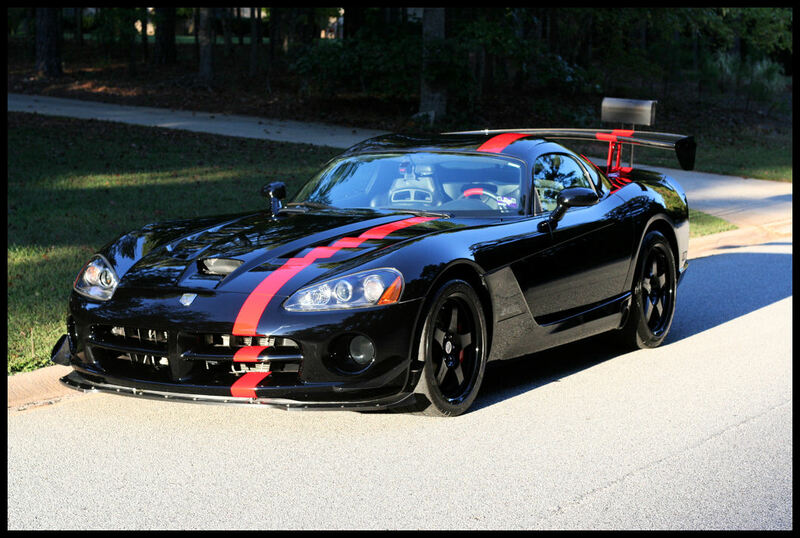 This custom 2008 Dodge Viper is made by ACR [American Club Racer] guys. 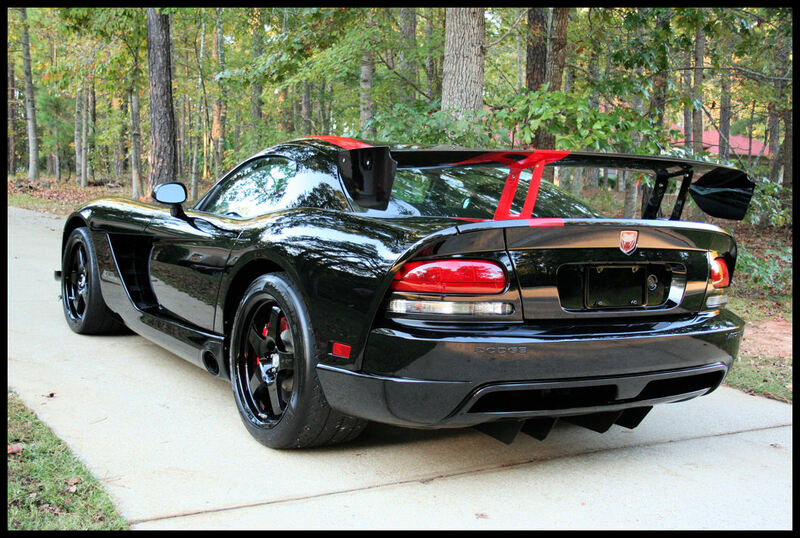 Custom asymmetrical stripes, huge rear wing, and front splitter make this Viper look one of the most aggressive ACR has ever made. 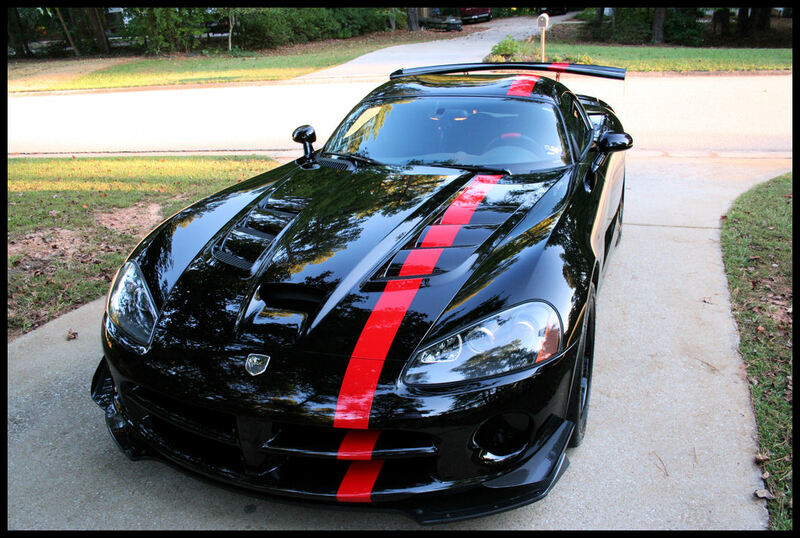 This particular ACR Viper came in 2-tone unique paint [red and black], but it also can be purchased in red, violet, bright blue and orange. 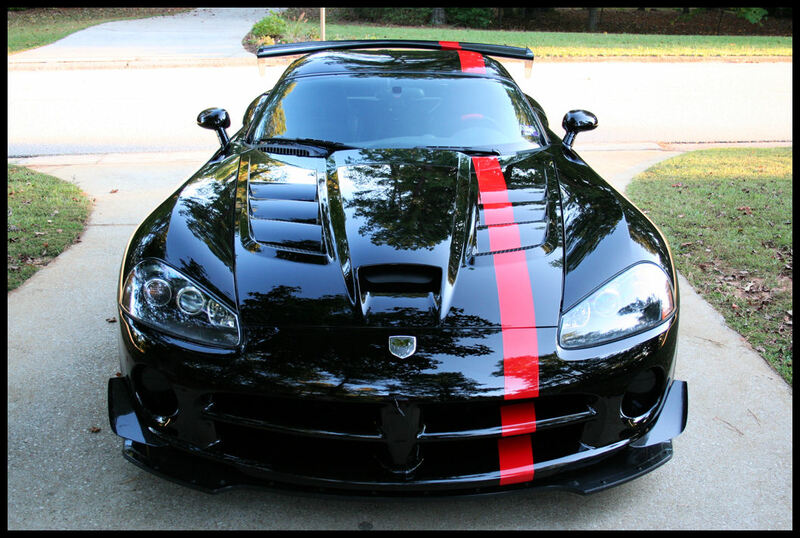 Because of the 8.4 liter V10 monster that this Viper has under the hood, it was equipped with carbon fiber front splitter, adjustable rear wing for the downforce. 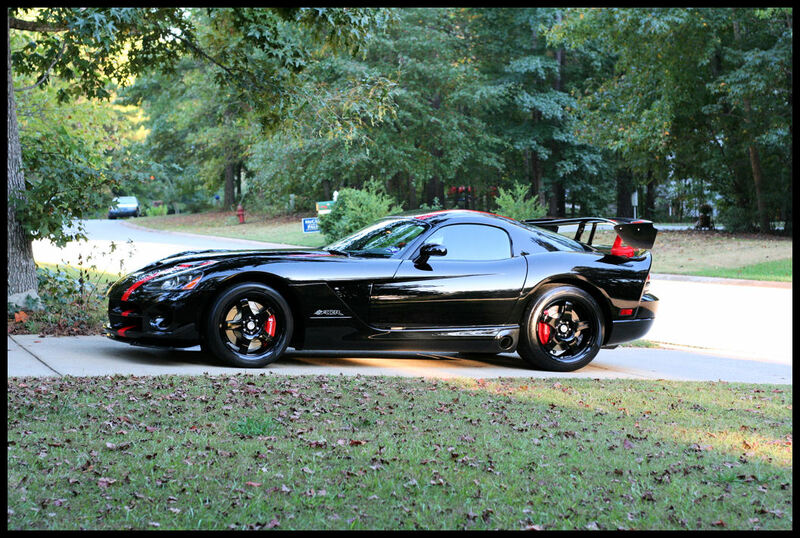 This tune gets this Viper 10 times more downforce than regular Viper has. Besides, the engine was not customised in request of Dodge themselves. Well, who could say standard 600 HP is not enough? Still, ACR tuned suspension, aerodynamics and did some weight loss. Traction is assured by Michelin Pilot Sport Cup tires [295/R18 front, 345/R19 – rear]. 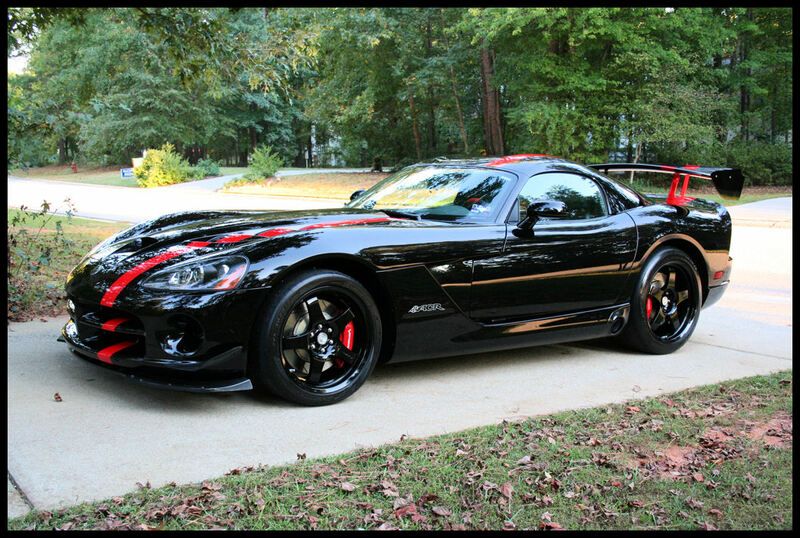 Viper also has track-tuned suspension with KW adjustable coilovers and stronger front stabilizer bar. 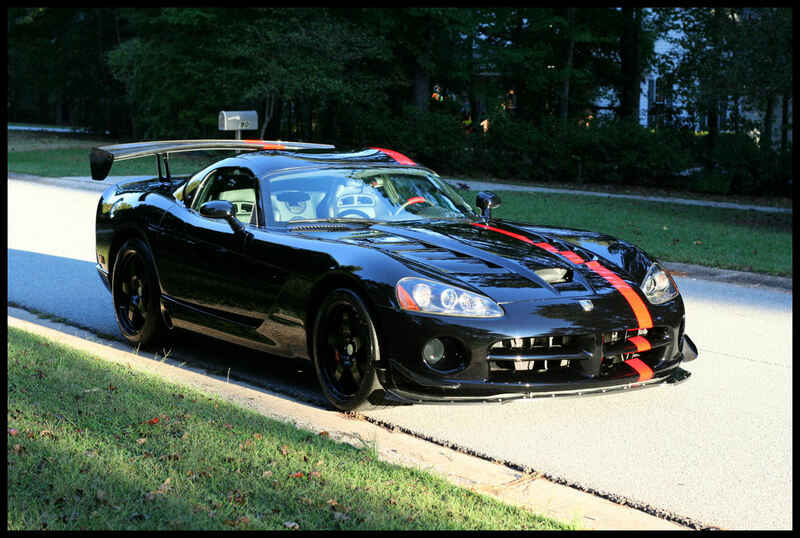 Downforce components and suspension elements this custom Viper is also lightweight. It has forged aluminum wheels, 2-piece Stoptech brakes, no audio system, no silencer pad, no trunk carpet, etc. It was all done in order to loose weight. 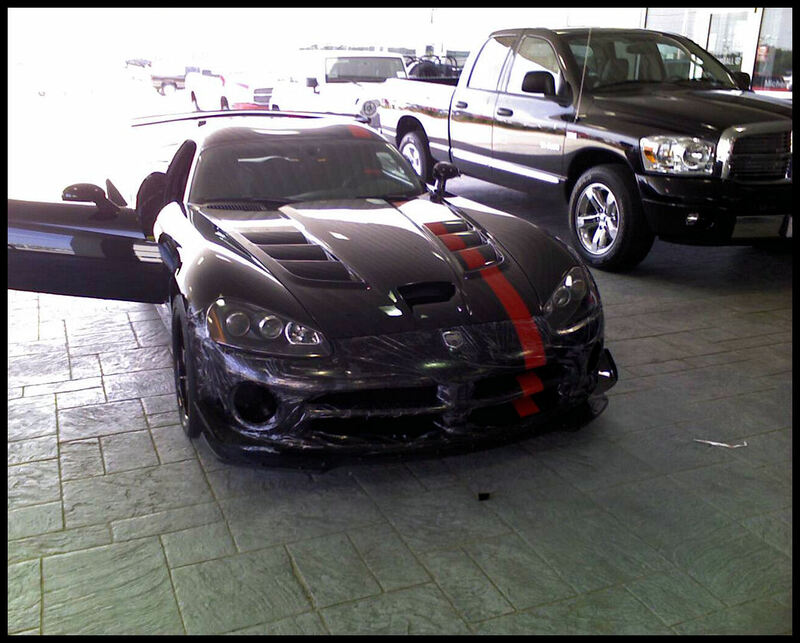 During the test drive one of the Viper lover found ACR Viper streetable. The suspension was relatively compilant, the clutch seemed to be quite light and the gears shifted smoothly.